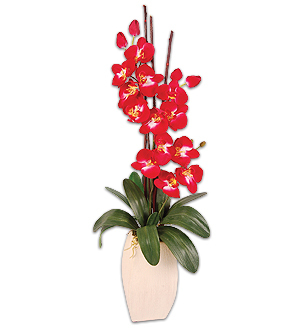 An elegant dsiplay of striking red Phalaenopsis in a beautiful vase. Phalaenopsis also available in Fuschia red, deep purple and White with purple, yellow or red throat. Measures 86cm. Please provide at least 3 days' notice for outstation deliveries (out of Klang Valley).